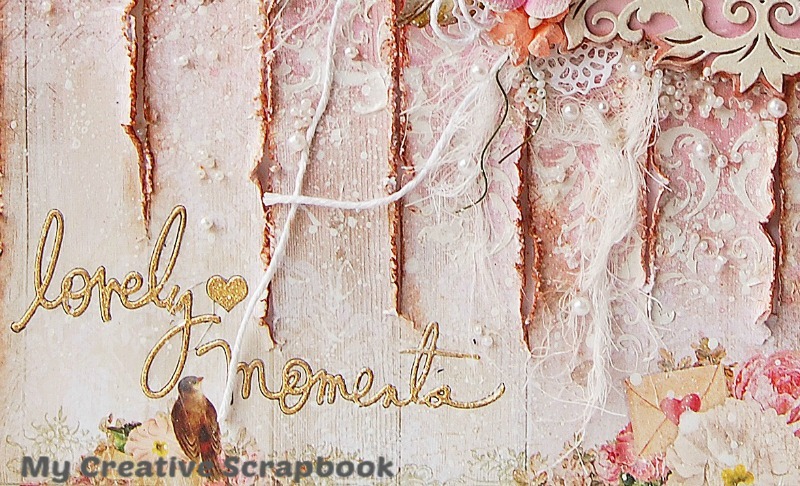 Treasuring Memories: Lovely Moments..My Creative Scrapbook February Reveal! Lovely Moments..My Creative Scrapbook February Reveal! Hello!! 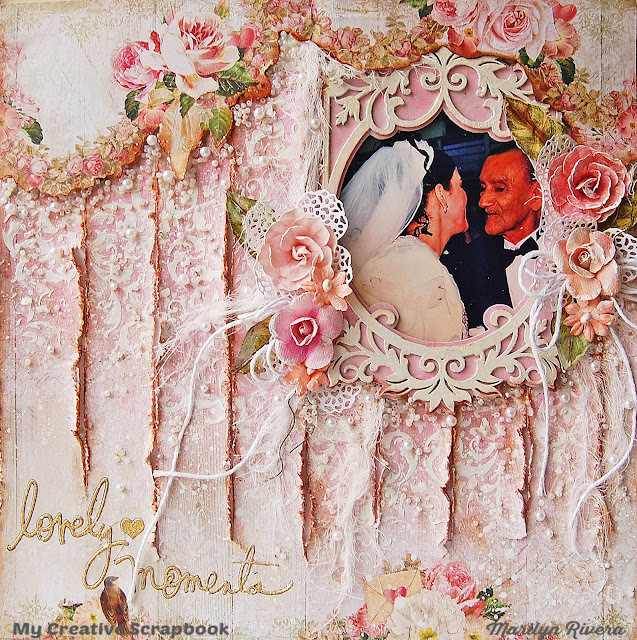 Today I share with you one of my projects with the beautiful February Limited Edition kit by My Creative Scrapbook featuring Blue Fern- Blush collection, mist and chipboard, Prima Marketing flowers, Heidi Swap gold stickers, trims and more... Pam always selected the best trend products in each kit, I know you will love this one! Well this page is about my sister and my adorable, lovable grandpa in the day of her wedding ...a many years ago. I made a video tutorial of this page that you will see the 15th of this month stay tuned... 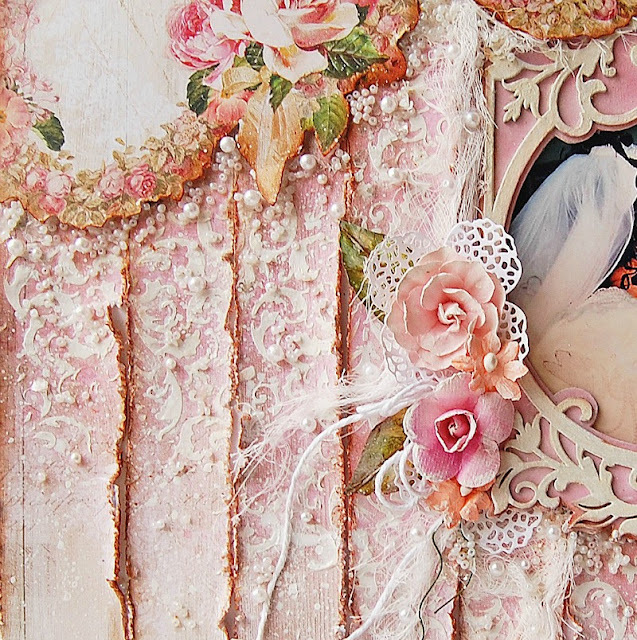 This pretty frame comes in the kit and it is a chipboard by Blue Fern studios. 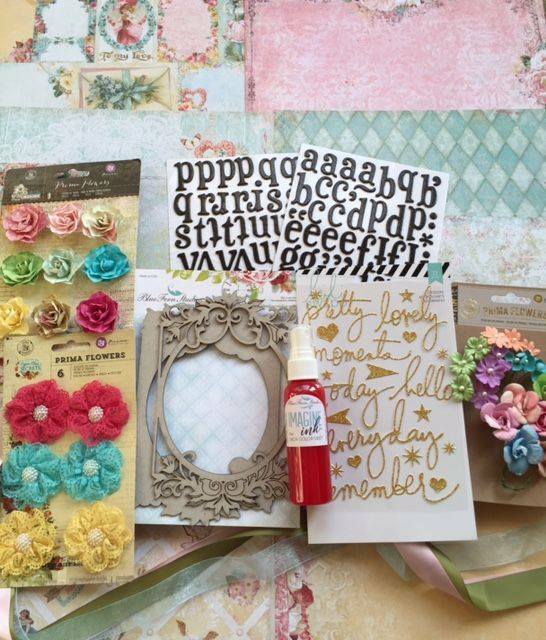 Prima Marketing flowers...this kit comes with three packages! I made the title with the gold stickers from Heidi Swap. Oh wow, every little detail of this lay-out is amazing! 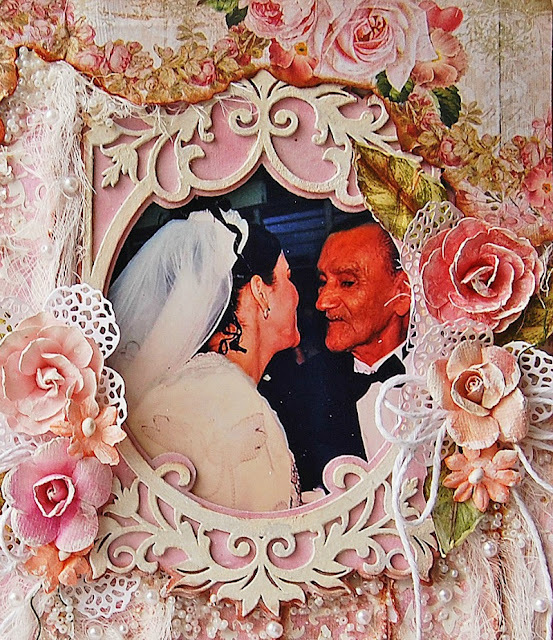 What a gorgeous page!